Tuesday has officially been too exciting. Everyone's dreams pretty much came true when the rumor began that Gilmore Girls would be making a return, thanks to everyone's BFF Netflix. Warner Bros. and Netflix have declined to comment, but fans are already excited. 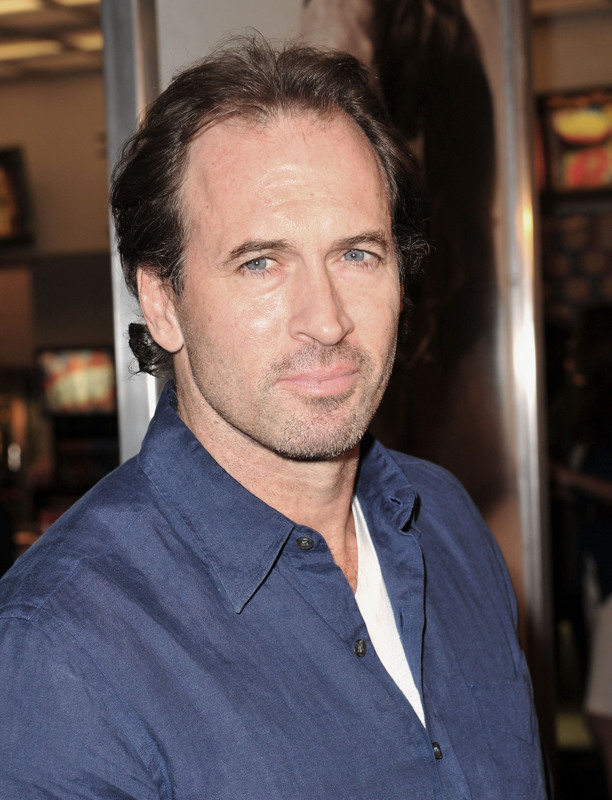 However, I have a bone to pick with Scott Patterson, aka Luke Danes, Lorelai's forever love. (Please tell me they ended up together or I just can't cope. Seriously.) Because, on Tuesday of all days, Scott Patterson tweeted after the Gilmore Girls rumor, and I have no idea what it means! While Alexis Bledel hasn't tweeted anything since June 6th, and her last tweet was a super cute 'I miss you' message to her TV mom Lauren Graham, Graham tweeted on Tuesday, "DUDES. I can't confirm this. But I also can't deny this...," referring to the very special Gilmore Girls news. And, while it's totally understandable that an actor might not be able to confirm their involvement in a project immediately, Scott Patterson's approach to the news has been... er... a bit weird actually. Maybe he hasn't ironed out his (please, please) deal with Netflix yet, but, seeing as TVLine and other news outlets have reported that he will be returning to Stars Hollow, why in the hell is he tweeting such an ambiguous and downright strange statement? Does he know something we don't? Has his character Luke Danes moved away and broken up with Lorelai Gilmore for good? And, if for some reason he's not in the revival, or, even worse, the revival isn't happening, why has he taken to Twitter to tease fans like this? Gilmore Girls without Luke Danes is like Dawson's Creek without Pacey Witter. OK, this is not a great example, because that show killed off a main character in its finale, ruining any hope of a reunion (*sobs*). But the way that Gilmore Girls ended, with Lorelai getting coffee in Luke's diner, left the story open to so much possibility. So Scott Patterson's tweet has me worried. Because I, for one, can't face a Gilmore Girls world without Luke in it. Maybe I'm reading too much into it. I've been known to get a little crazy intense on social media from time to time, and it might be time to step away from my Twitter account. All I know is, if a Gilmore Girls reunion is happening, it can't happen without Luke!